The bt-micro™ is the latest rage in hand held professional technology and combines ultrasonic peeling with microcurrent product penetration capabilities. bt-micro™ ultrasonic exfoliation works with high speed oscillations of the flat metal peeling probe and bT-Ceuticals™ water based CLEANSE or EXFOLIATE, which creates a cavitation-like effect, greatly enhancing the natural exfoliation process of the stratum corneum. The bt-micro™ is applied to the skin in upward, peeling motions. 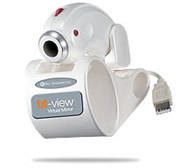 The exfoliation process with the bt-micro™ should take no more than 4-6 minutes. The results are amazingly clear and smooth skin that is ready to accept strategic topical energy! 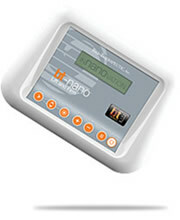 The bt-nano™ is the ultimate microcurrent mini device programmed with the bt-Cocktail Lift™ and the Invisible Expression Facial™ utilizing our exclusive patented Suzuki Sequencing™ platform. The bt-nano™ can be easily held in one hand, and economically placed in or out of the treatment room. It positions perfectly in any clinic or spa as an effective, portable, and convenient add-on application in all settings due to its size, advanced microcurrent technology and synergistic relationship to other anti-aging technologies. Lifting and firming has never been so easy! 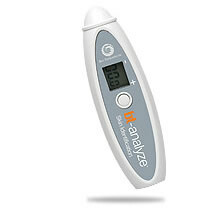 The bt-analyze™ is a hand held battery operated moisture analyzation meter that utilizes bio electric impedance technology with a newly designed and engineered skin membrane sensor. When placed on the skin, a low level of electrical current is utilized to measure the conductivity, resistance, and the time in which it takes to obtain the reading. These measurements are calculated against an internal database of statistics to determine the exact final numerical result. The bt-analyze™ has been proven to assist the skin therapist in gaining factual bio-marker measurements for each client in multiple areas of the face, neck, and décolleté. refines the skin therapist’s ability to prescribe specific products and services. magnification within one lense. Still images can also be captured and saved.